Please check out OWLS blogger Crimson from Read at Night for her post on April 15th. Please be sure to read LitaKino’s post about feminism and her example from Pride and Prejudice. 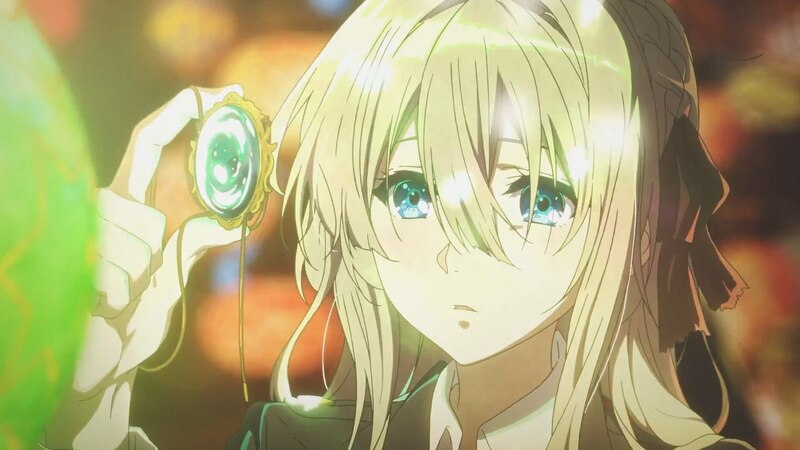 *May contain spoilers for the anime Violet Evergarden. Check out my spoiler-free review. **Warning: I might be sharing you my opinions towards feminism. You will most likely disagree with me. Check out Aria’s blog here. *Will contain spoilers for One Piece! Please be sure to read the previous post of the month from Heyitszel. [OWLS September Blog Tour] Spider-Man: Revenge on the world is not Self-Care! 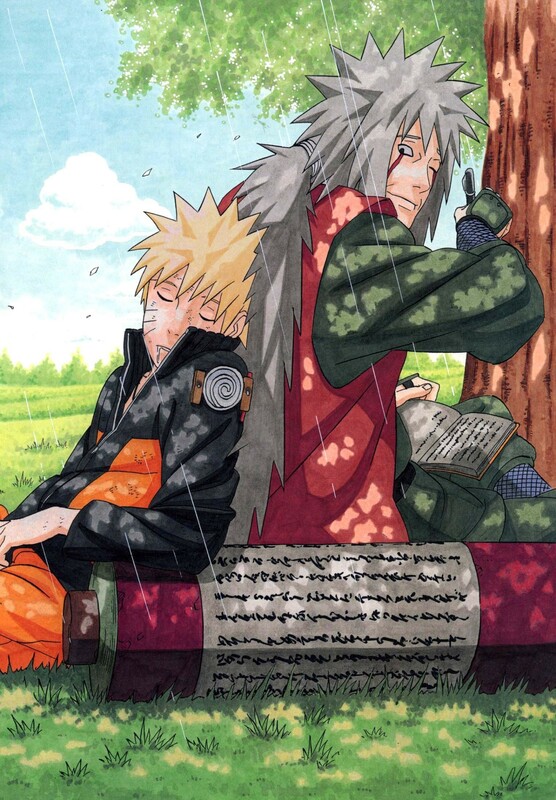 *This blog tour post will have spoilers to the Naruto (classic/Shippuden) anime! Also, please read Takuto’s blog tour at his site Takuto Anime Cafe. 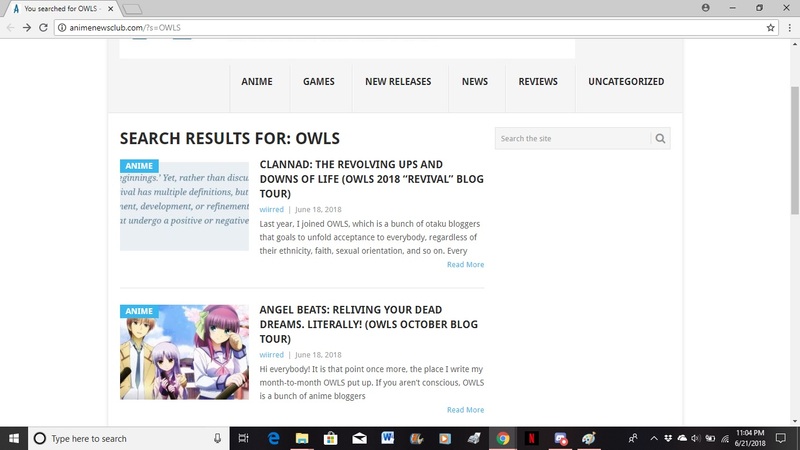 PSA – AnimeNewsClub.com uses stolen posts from OWLS and Rai! Don’t Support them! This is important news in the anime community that all writers should be informed. It has come to my attention that someone is stealing posts by copying and pasting them as their own work for an anime website called AnimeNewsClub.com. Revealed on Twitter, a writer named @MrXenodude noticed that one of his own posts was linked to the site AnimeNewsClub. The link revealed that the writer who goes by the name Wiired is stealing posts. I can't do anything about it but I am bummed to see my own writing copied and pasted like that. If you're another anibogger and/or you're part of @OWLSbloggers, I hope this helps in some way. That’s right, this person stealing work from the OWLS (Otaku Warriors for Liberty and Self-Respect). 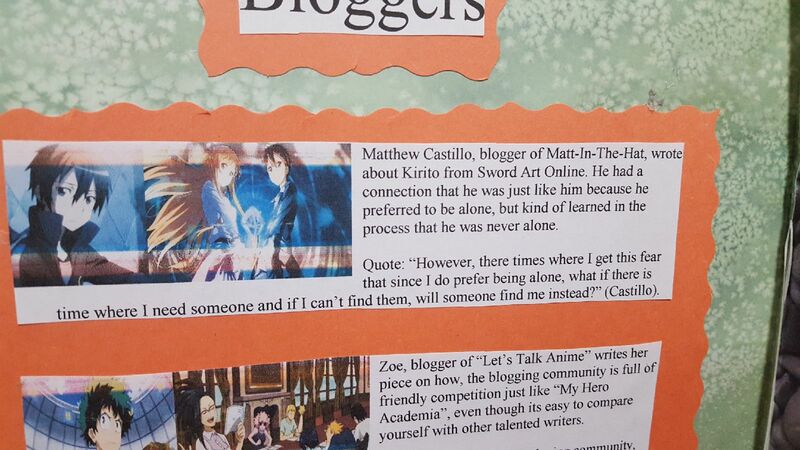 Specifically, the most notable posts that was taken was from fellow member Rai from Rai’s Anime Blog. What I heard from the team, the owner of AnimeNewsClub is also getting PAID from their site in which they are getting monetize from content they took. 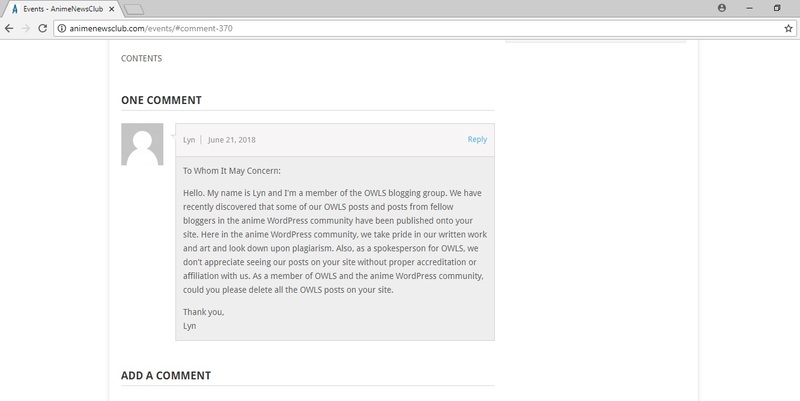 The team member Lynlynsays already wrote to the writer and requesting to remove these posts as it shows that this is not how you support the OWLS and it’s considered stealing. MrXenodude got a response from the writer and the writer mentioned they did not intend to do anything malicious. In case of confidentiality, I won't give details but I'm told that intention wasn't nefarious. Still, I wanted to bring this to people's attention since I think anyone who puts time and effort in their writing should know when something like this happens. Even if the writer stated they didn’t intend to plagiarize, we must not let our guards down. There’s a huge difference between supporting something and stealing. I have a friend who loves the OWLS and she even showed her support by using examples from our works and CITING/SOURCING the authors. This is not supporting. This is stealing. AnimeNewsClub did not cite anyone’s work and they just copied everything and pasted them to get attention. The way the writer posted these posts shows that they did not read them since some of them mention hiatus posts and it doesn’t make sense to post about taking a hiatus and then writing a new post about a different topic. 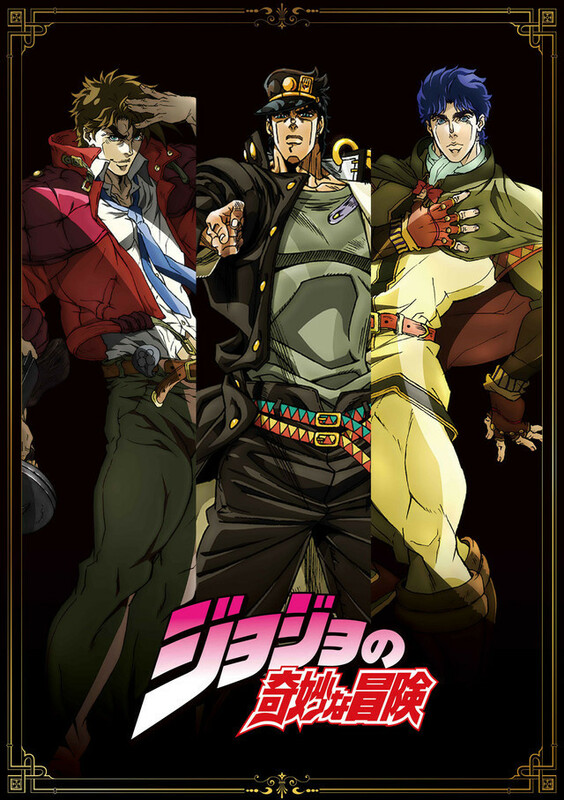 They also have a few others from Rai, even a hiatus one that makes no sense for them to use other than views. The dates are all within the last week so there's no way that any of them could possibly be original besides one or two. To leave this in a final note I have some words to say to everyone including to the owner of the site. I noticed from my team that you have stolen works from my fellow writers from the OWLS without giving them credit. I heavily request you to remove these posts if don’t plan on citing them. We do not tolerate anyone stealing works from others for ones benefits. Stealing work is a serious matter and we don’t appreciate having our stuff taken. We as writers work very hard to provide content for our readers and it pains us to see it plagiarize by someone who won’t write their own site. Thank you taking the time to read this PSA post. I wanted to warn you guys that we take pride on our works and we don’t appreciate it when someone steals. If you would like to support the OWLS for your blog, PLEASE cite our works. It makes us happy to see our works and ownership being used properly. As OWLS, we do our best to show importance of respect and we do our best to bring fans together who enjoy anime. We don’t like causing division among each others. Please spread the word and inform others to stop plagiarisim.